Find out what events we have planned in the future. Find out what we've been working on and the differences we have made. SNAP (Special Needs Action Panel) is a pro-active, independent forum of parent carers who all have children or young people with Special Educational Needs and Disabilities (SEND). 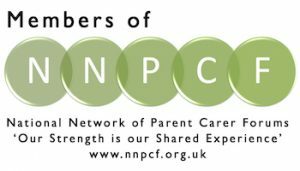 As members of the National Network of Parent Carer Forum’s we support the development of parent carer participation, a process in which parents work together with professionals to make improvements to local services. We act as a conduit for a wide variety of local professionals in their work with children and young people with SEND. SNAP’s purpose is to improve the services provided for our young people, aged between 0 and 25 years. We are a Parent Participation Forum enabling parent carers to participate in developing and influencing local services. We work with service providers, individuals and organisations to bring a real-life perspective and experience to the planning and development of the services that our families use. We focus on helping to raise the standard of Social Care, Education and Health Services within Central Bedfordshire, to ensure that these services are provided in a way that meets the needs of all disabled children and their families locally.